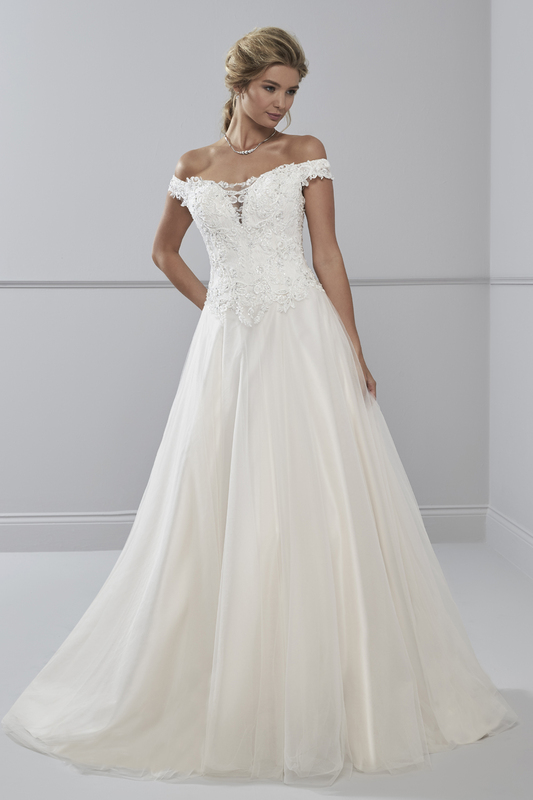 A beautiful off the shoulder ballgown style with plunge neckline, lace bodice, dropped waist and hand beaded detailing. Tie back. Available in Sand or All Ivory.